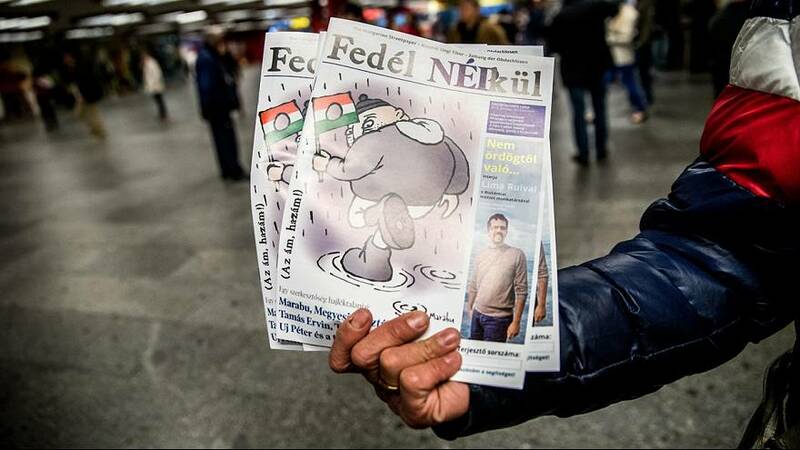 Journalists from Hungary’s main opposition newspaper Népszabadság have found an inventive way to get their work published after the paper’s owner shut it down. Many of the Népszabadság journalists believe that the right wing government was behind their newspaper’s closure. But its owner Mediaworks has said the newspaper had incurred losses of more than $18 million since 2007 due to a fall in circulation. The articles in the magazine accuse the right-wing government of being behind the closure. “Measuring up the circumstances … Fidesz decided to kill Nepszabadsag,” one of the journalists wrote, referring to the ruling party. Nepszabadsag’s editor said that his staff more united now than ever. “Until the employees’ situation is resolved, the paper Népszabadság will be unified for sure. I think after that we will stay unified, too,” András Murányi said. Government spokesman Zoltan Kovacs has said press freedom is doing well in Hungary and the government “did not deal with” developments in the media market. Prime Minister Viktor Orban’s Fidesz party has said it regards the closure as a “reasonable business decision”. A party vice chairman has said it was “high time” the paper shut. Some 12,000 copies of Without A Home are distributed in Budapest, with revenue from donations going to help homeless people.